There is a physics-owned computer in the cabinet. A physics log-in is needed to be able to use the computer. 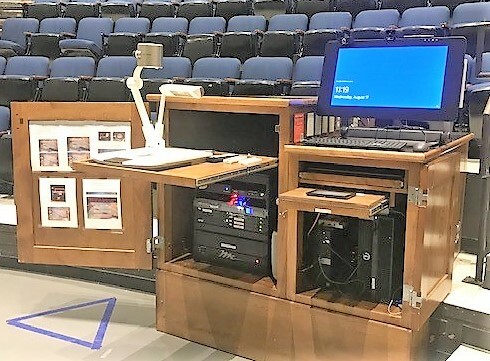 There are several laptop computer inputs and auxiliary audio/video inputs available against the wall and underneath the front row of seats.